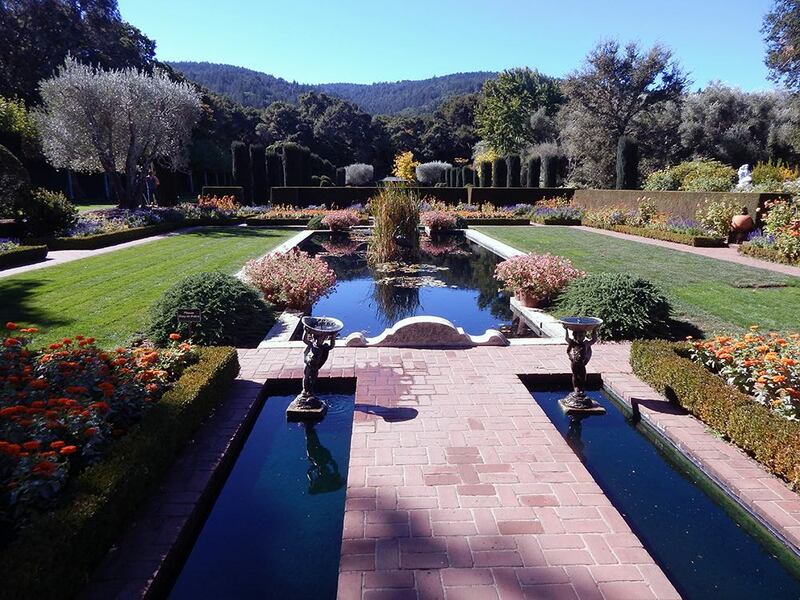 Filoli is a country house estate on 654 acres in Woodside, California. 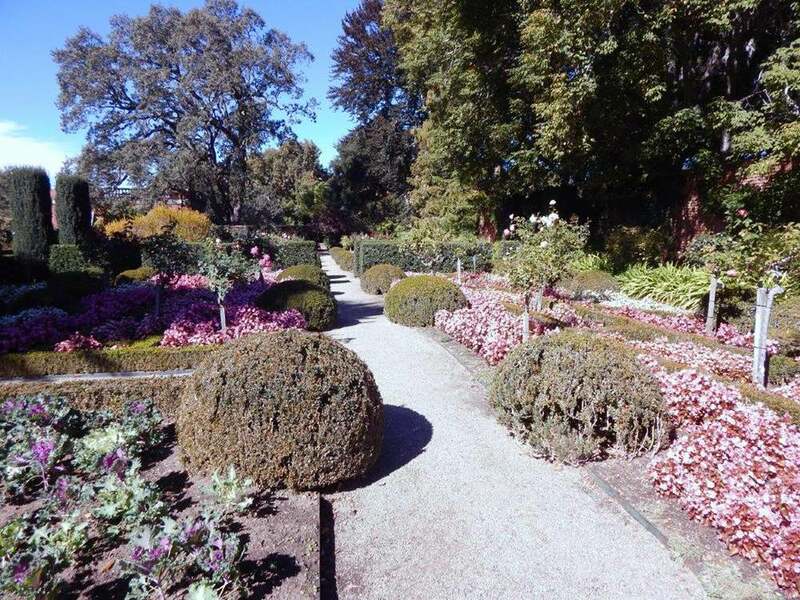 There are sixteen acres of beautifully designed formal gardens around the house. In the spring the perennial garden shines with lovely blue delphiniums taking center stage. The mass plantings of the cutting garden flowers bloom during the summer have looked good every time I have visited. It is the largest garden on the estate. In the fall, in the vegetable garden especially, pumpkins caught my eye as did the Camellia sasanqua planted against several garden walls. 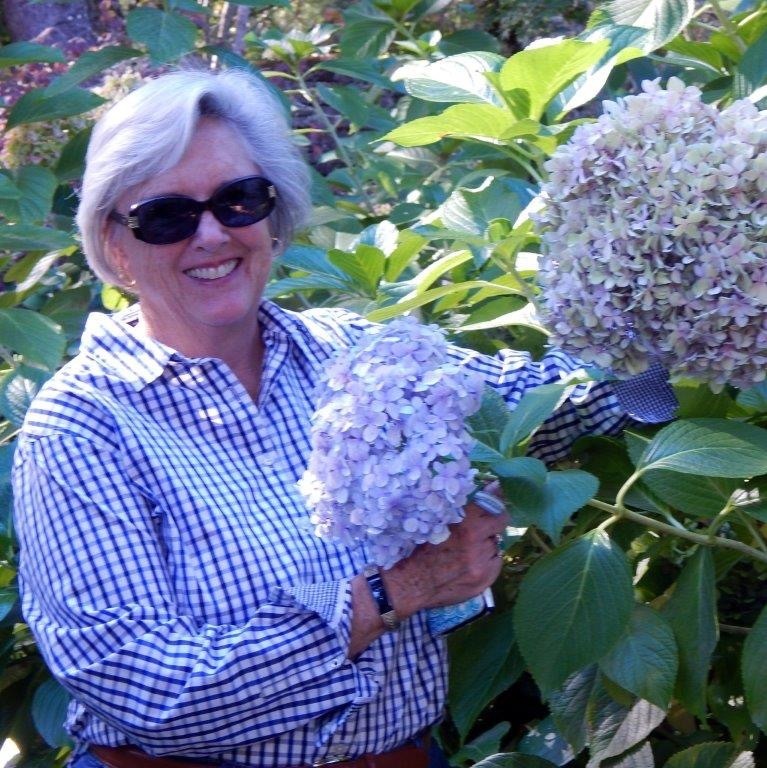 My wife Lynn was impressed by the huge blue Hydrangeas. In the winter months the Camellia japonica and Camellia reticulata are in bloom. Filoli has a very good selection of mature Yunnan camellias growing in areas of the gardens many fail to explore. We had an experienced docent who knew where they could be found. They are located near the wedding garden. 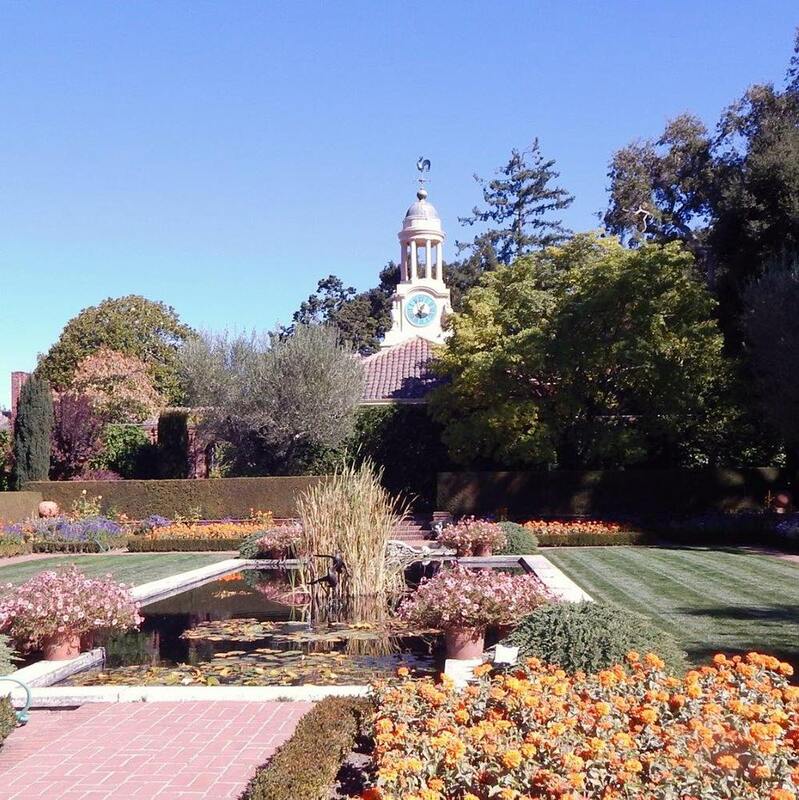 William Bowers Bourn II, owner of Empire Gold mine and president of the Spring Valley Water Company, had Filoli built between 1915-1917. The name comes from combining the first two letters of each of the words "Fight - Love - Live." Bourn’s credo was “Fight for a just cause; Love your fellow man; Live a good life." The sunken garden was a major attraction for us with the water lilies blooming in one pool and a second reflecting pool with lawns on either side. 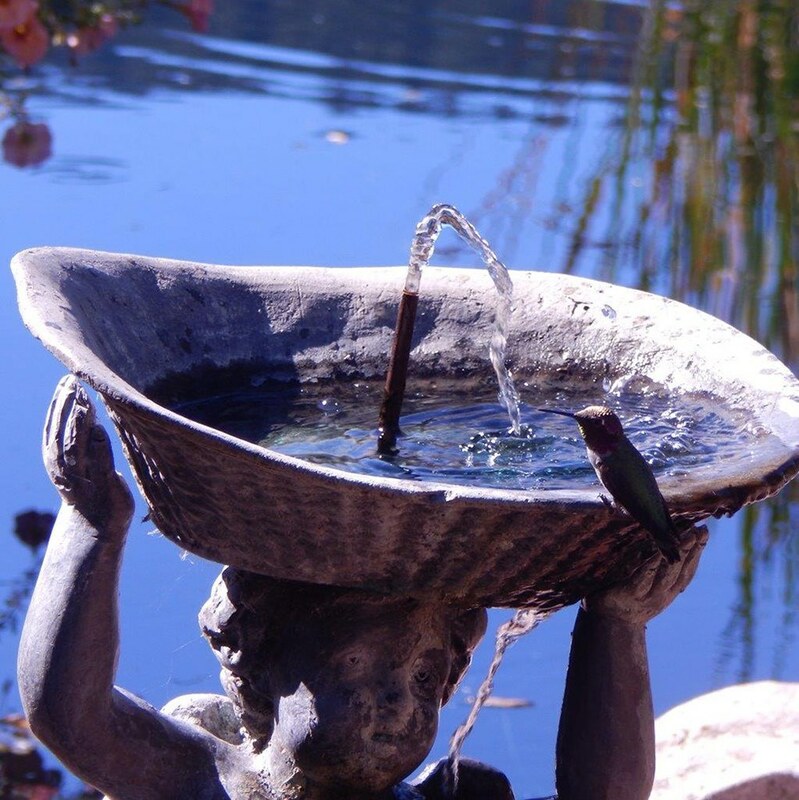 The Cherub Fountain had a hummingbird flying in and out to drink water. I took a dozen shots to get the one posted as hummingbirds are like a small jet fighters that can fly forward, backward and even hover. 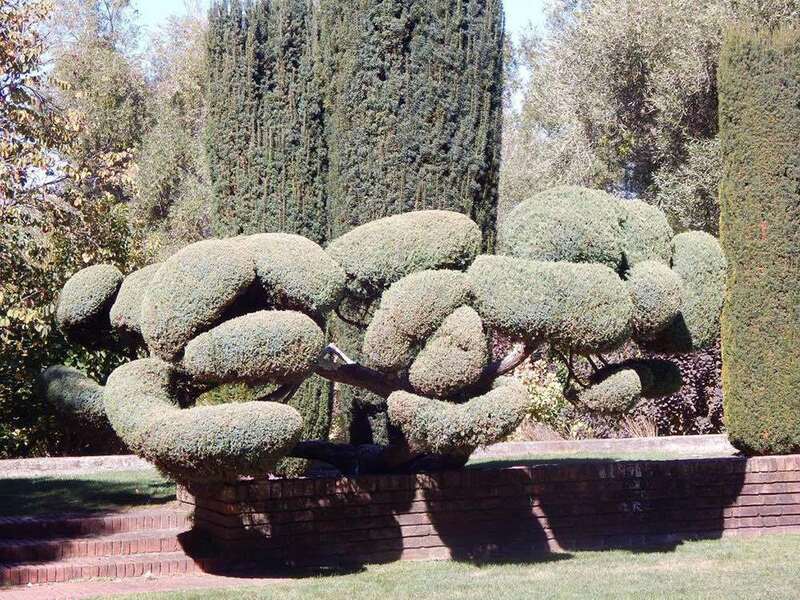 Filoli is an example of the English garden style with an Italian formality. There are wonderful vistas and plantings of evergreens along the pathways and walls that section off the different flower gardens. It is a place to be visited often to experience the beauty of the different blooming seasons.